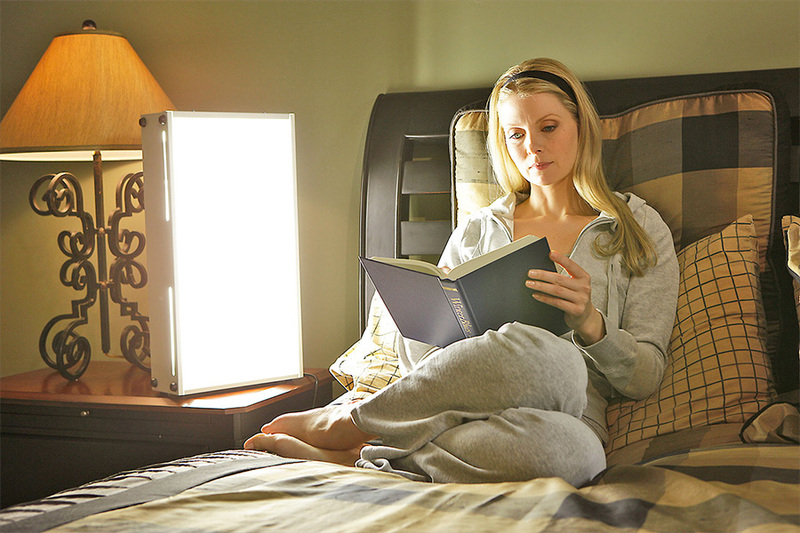 Proven light therapy aid in combating the symptoms of seasonal affective disorder, seasonal depression and other mood disorders. Two broad-spectrum biax bulbs. No harmful UV rays. C.R.I. 84, 4100 Kelvin. 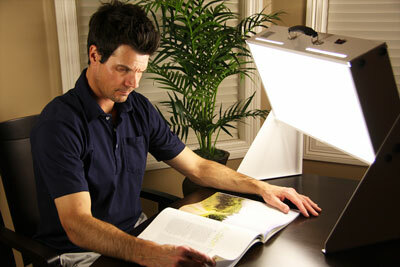 Comfortable low glare prismatic light diffuser. 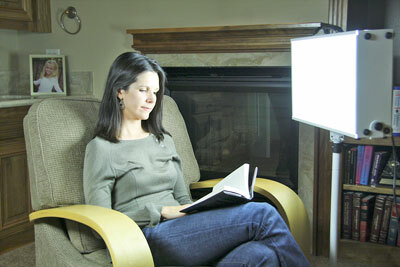 High mirror finish reflectors. Insurance forms. Seven years phone support. 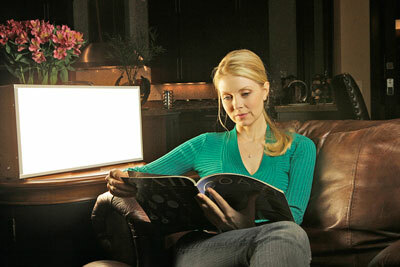 Brightens up your winter with 10,000 lux at 24 inches! 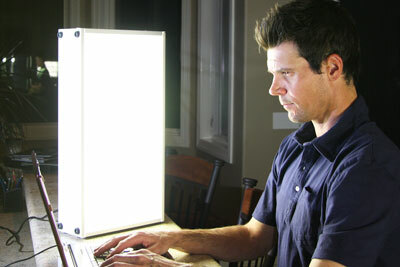 Output 10,000 LUX @ 24"
"I recommend both the NorthStar 10,000 and the Aurora LightPad for all my patients that suffer from Seasonal Depression and Seasonal Affective Disorder. I am a true believer in bright light therapy and have numerous patients benefit from this treatment. 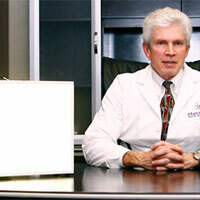 It is a natural and safe treatment that is incredibly effective." "I live in Oregon. We have a lot of days without sunshine, and I have suffered the effects of SAD. Since using my Alaska Northern Lights box, life is much more positive. 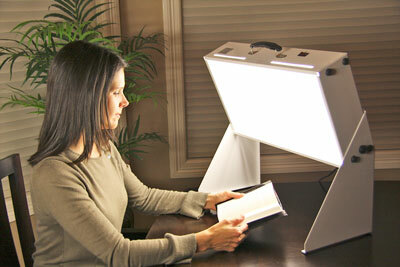 When making the decision to purchase some type of light therapy, I considered the ease of use. 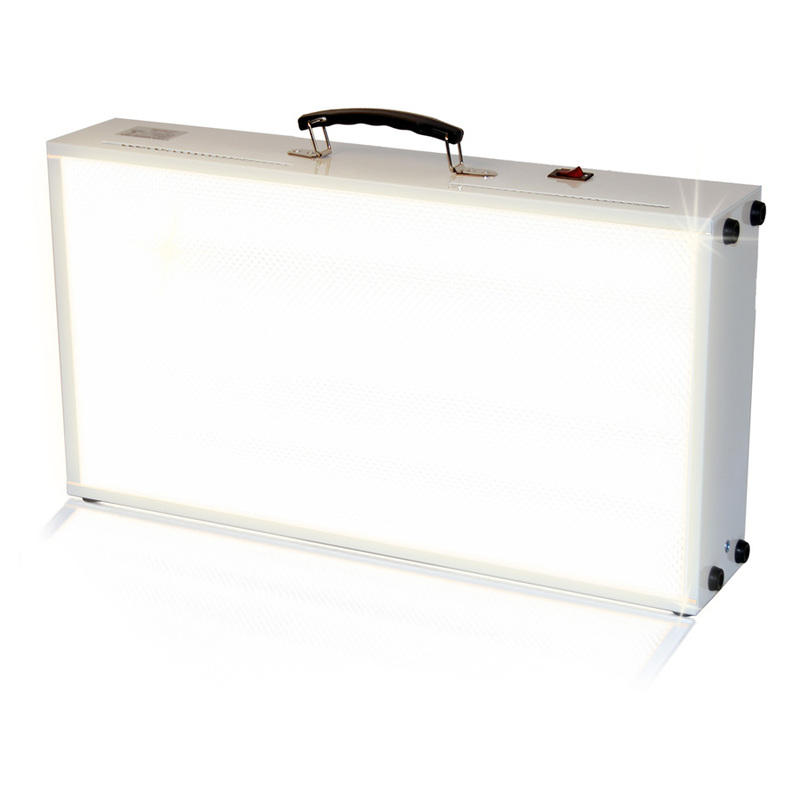 Your light box with the floor stand is the best!" 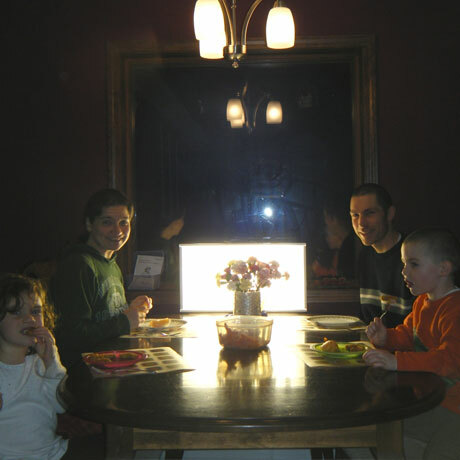 "Previously, I suffered greatly with Seasonal Affective Disorder and found it difficult to function on my job as teacher during the dark winter months. I used antidepressant medication for a few years, but I did not like the resulting feeling of being "drugged" or the accompanying weight gain. 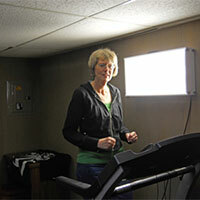 My doctor recommended trying light therapy, so I researched light boxes and settled on your wonderful product." 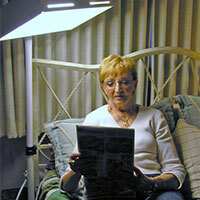 "To avoid adding another medication, we decided to try to your light box specifically to address depression. Erica has come alive. 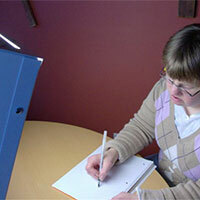 Her conversation is better, she is more cheerful and eager to engage with those around her. 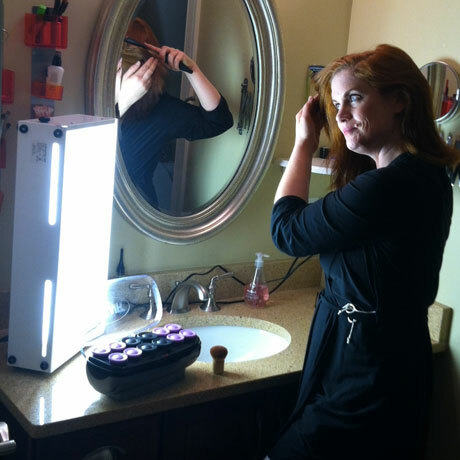 Erica says, "It makes my eyes light up." Thanks for giving us an effective alternative to medication." 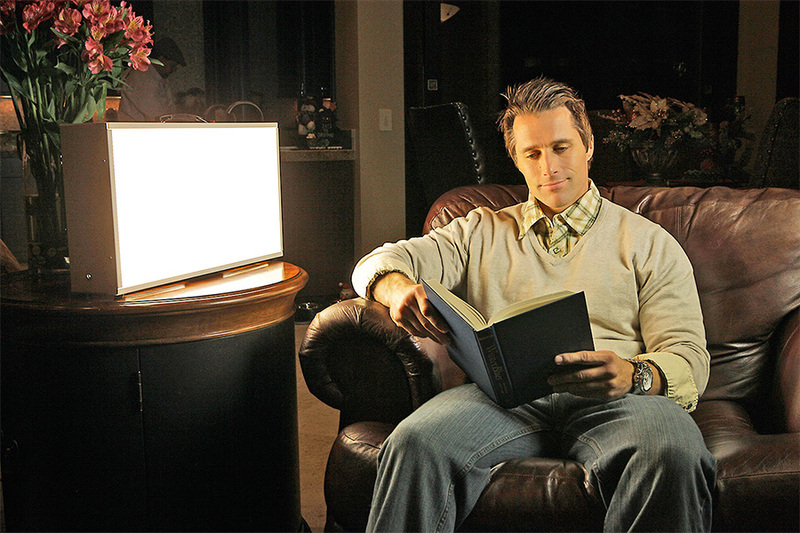 * Since the 1970's, studies have shown that light therapy is effective when a person is within a 10,000 lux brightness range of light. This is important to consider when shopping around. Many lamps boast of 10,000 lux light, but fail to mention at what distance this is from the light unit. 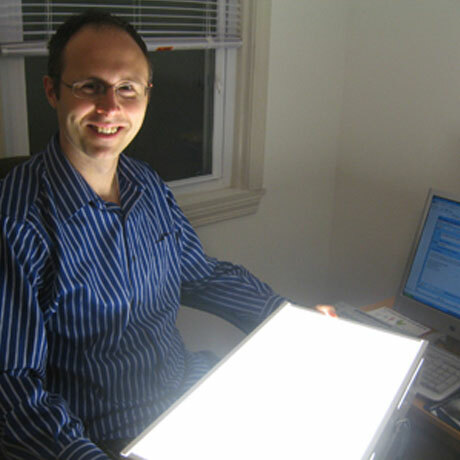 ** Area of Brightness/Dimension is an important factor to consider. 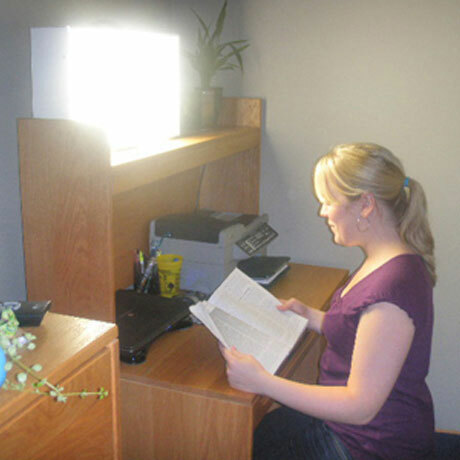 Our light box gives a full 2 square feet of light and allows the user a lot of versatility while getting their bright light therapy. 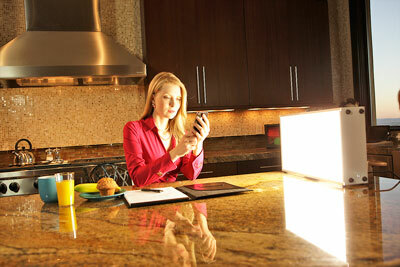 The smaller the area of brightness, the more restrictive (harder) it is to use.